Even if you think that you are the most organised person on the planet, if there is one thing that is going to catch you out – it’s moving house. When moving house there are so many different things which need organising including but not limited to arranging a removals company such as ourselves and sorting out finances. Your brain will no doubt be occupied with a range of things, and because of this, it can be difficult to ensure that everything is planned as efficiently as possible. To avoid unnecessary stress upon arrival at your new home it is vital that you prepare a survival kit – this way you won’t have to rummage through 50 different boxes just to find your kettle so that you can have a cuppa. What is a survival moving kit? A survival kit is a box which contains everything that you are going to need in the first couple of days in your new home. Â Having a survival kit will allow you to get settled into your new home with minimum hassle, and will allow you to unpack at your own pace without having to rush to find things. 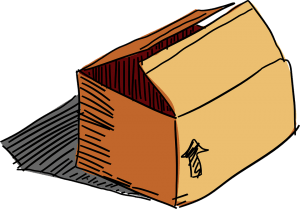 You will need a big cardboard box to make your survival kit, and you should ensure that this is clearly marked and loaded into the removals van last so that you can get it out first. Champagne – after all it is time to celebrate! Pack in your survival kit anything that you think you may need, these are just ideas. As long as you consider the essentials – food and drink, warmth, light, and shelter, you’re bound to be on the right tracks! Good luck and happy moving! Don’t forget, if you are moving house and need a removals company to assist you, here at Top Removals we are only a phone call away. Talk to our team on 0800 046 7877 today.